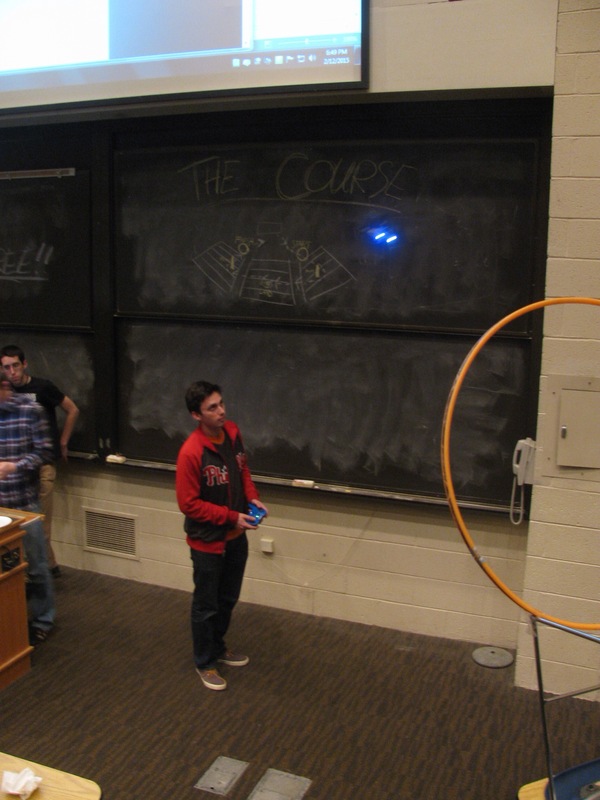 Last Thursday, AIAA had a helicopter competition, a lot of students came to fly the mini helicopter and professor Grenestedt and Angstadt also came. It was a lot of fun, and there pizza provided. 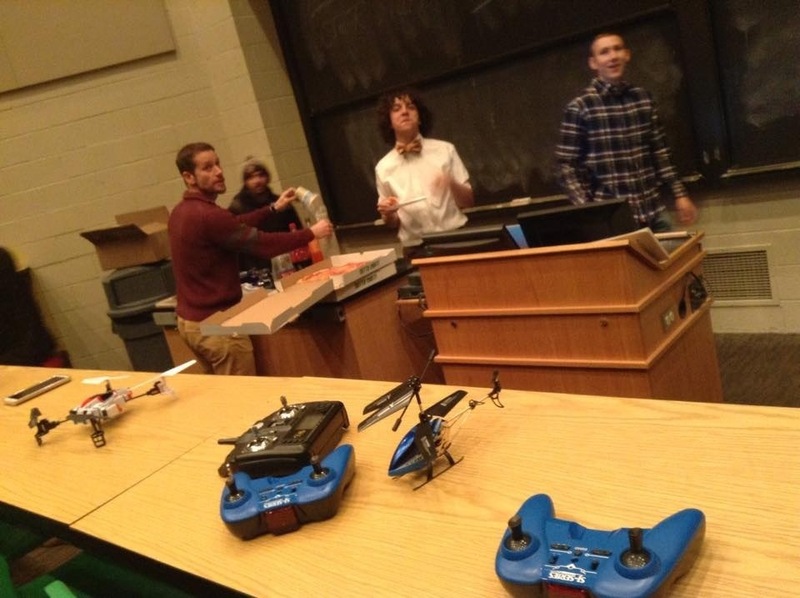 They have two helicopter which is easier to control, since you only need to control, pitch, and yaw, and they also one quadcopter, Which you need to control pitch, yaw and roll. 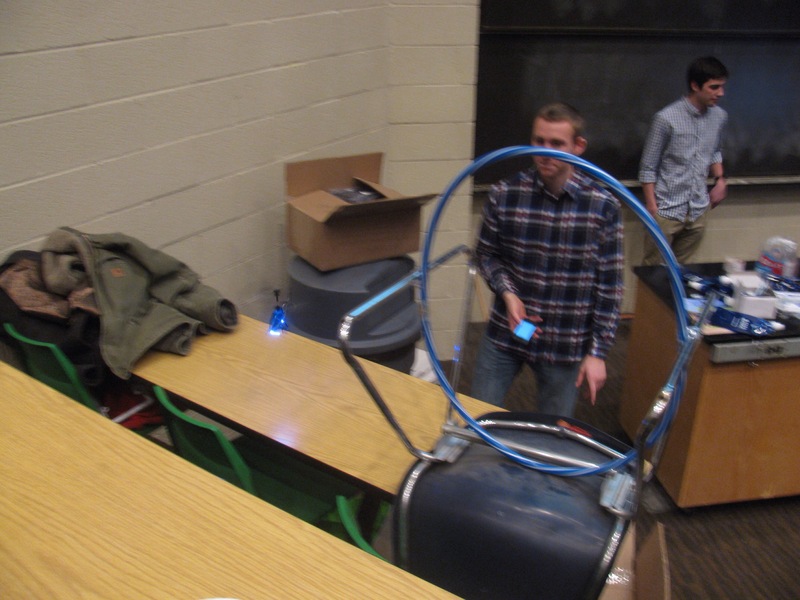 Here is the helicopter and quadcopter and remote controls. Professor Grenestedt learning how to control. 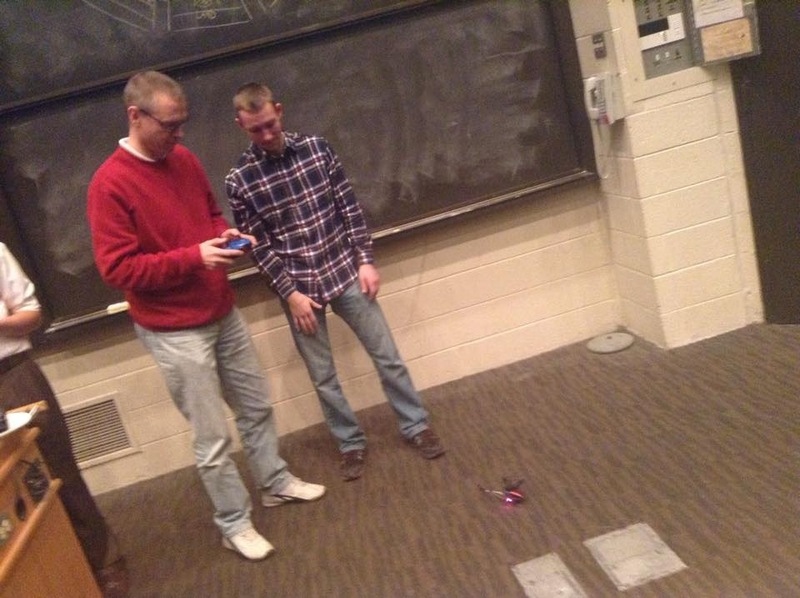 Student fly the mini helicopter.